Even though choices are limited, there's a wide range of prices you can pay for the option of watching TV when you want to watch. The DVR you choose should come down to the features it provides such as recording time and the number of tuners but sometimes price trumps all of these factors. Some people need the lower upfront cost of a monthly fee while others would rather drop the money up front and never get yet another bill from just one more company. No matter which type of price you want to pay, there's a DVR on the market for you. Let's take a look at your options when it comes to DVRs in regards to price. It should be noted that this is in no way a feature comparison but is strictly focused on the pricing of your various options. Every major MSO, both cable, and satellite provides a DVR option. Depending on the company you choose as your provider, you can count on paying a monthly fee for a DVR as part of your bill. The downside of this is that you can pay anywhere from $5.99 to $12.99 per month for the ability to record your favorite shows. While there is typically no upfront cost, over the years you can end up paying more. Using a number of $10 per month, the two-year cost of a provider DVR is $240. This isn't 100% accurate however as many MSOs also charge a set-top-box fee of anywhere from six to eight dollars per month. If your cable or satellite provider tacks this fee on then you're looking at approximately $340 over two years. This is probably the lowest price we're going to see on this list. Something to keep in mind, however, is that you're also going to get the fewest number of features and a device that may have more problems than others. The DVR from your cable company has probably been passed around to several customers. Unless you're looking at a Hopper DVR from Dish Network, you'll only get two tuners and very little hard drive space. As well, $340 over two years may not seem like much but if your cable or satellite bill is already over $100 a month, it all adds up. Being one of the most popular third-party DVRs on the market, TiVo is the obvious device for us to look at next. Using the term "device" is misleading however as there are several different pieces of TiVo hardware available depending on what you're looking for. To make our comparisons fair, however, let's look at all of them. Also, I'll limit this discussion to retail TiVo devices, not those available from cable MSOs as their pricing can be quite different. Starting at the bottom of the pricing scheme you have the TiVo Premiere. This starts at $149.99 up front. 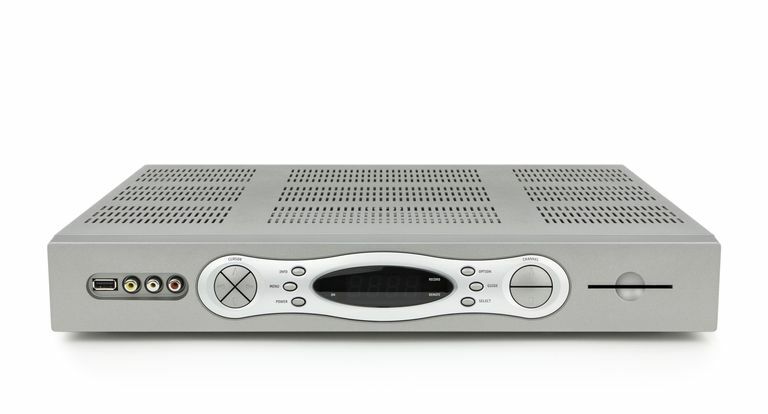 This DVR provides 75 hours of HD recording and two tuners. Next up is the Premiere XL which keeps the two tuners but ups your recording time to 150 hours. The XL will run you $249.99. At the top of the TiVo family is the Premiere XL4 (formerly the Elite) which provides four tuners and up to 300 hours of HD recording. This will run you $399.99. As you can see, unlike cable or satellite provided DVRs, there's an upfront cost with TiVo. Instead of a lease, you purchase the hardware and it becomes yours to keep for good, even if you cancel your service. Where TiVo is similar to cable DVRs is that you'll also need to pay a monthly fee in order to receive guide data and other information needed for series recordings. At $14.99 a month, this significantly increases the two-year cost of owning a TiVo device. You do have the option of paying for a lifetime subscription and this will run you $499.99. As you can see, TiVo ownership isn't cheap. Keep in mind that you do get a lot of features with a TiVo device when compared to a cable DVR. Something to factor in when making your decision. Pricing a home theater PC becomes tricky. The final price you pay can vary greatly depending on a lot of factors. The primary factor would have to be your level of technical knowledge when it comes to building your own PC. If this is something you can do yourself, you can save a significant amount of money compared to paying for a premium HTPC from a custom house. That said, it's possible to estimate decent figures when it comes to either building or buying an HTPC. Remember, this device is going to control your TV and movie entertainment which means investing extra money and time should provide a better experience. One other factor to keep in mind is that there are no monthly fees with an HTPC unless you add third party features such as Netflix or Hulu Plus. Microsoft has never charged for guide data and hopefully, it will continue to remain free. If you go the "build your own" route, it's entirely possible to build out an HTPC for around $500 to $600. You can go cheaper but again, you probably don't want to when it comes to your family's entertainment. Once you add the cost of a CableCARD tuner ($150 to $200) you end up with a total cost of around $700 to $800. This is comparable to TiVo when you add up the cost of their monthly fees. If you decide to have someone else build your PC, you'll pay a premium for it but you should end up with a great experience if the company knows what they're doing. Most custom-built HTPCs run over $1000 but you're not just paying for the hardware. Experience, quality of parts and service after the sale count for something. How Much Does DVR Cost? In the end, the price is only one factor when picking any device, not just your DVR. That said, balancing features with cost can be difficult. Luckily, the options for DVRs are pretty straightforward. You'll pay more for more features but that's normal and in the long run, it can be cheaper to own the hardware versus renting it.